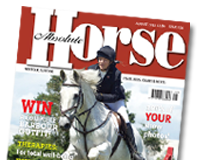 Are Fit Horses Less Likely To Get Injured? This is the time of year (snow and wet ground permitting) that many riders will be into their fitness programmes for the coming season. When we ask riders what they think the benefits of training are, two of the most common answers are always centred around improvements in performance and decreased risk of injury. Dr David Marlin is an internationally recognised expert in the field of equine exercise physiology and specialises in equine nutrition, training and competition strategy and gives his insight into this subject matter.